Something from our last foray to a special place. Coming up to the only tree for 30 miles in every direction only to find a black rhino seeking shelter from the summer sun: winner winner chicken dinner! Beautiful high key presentation. 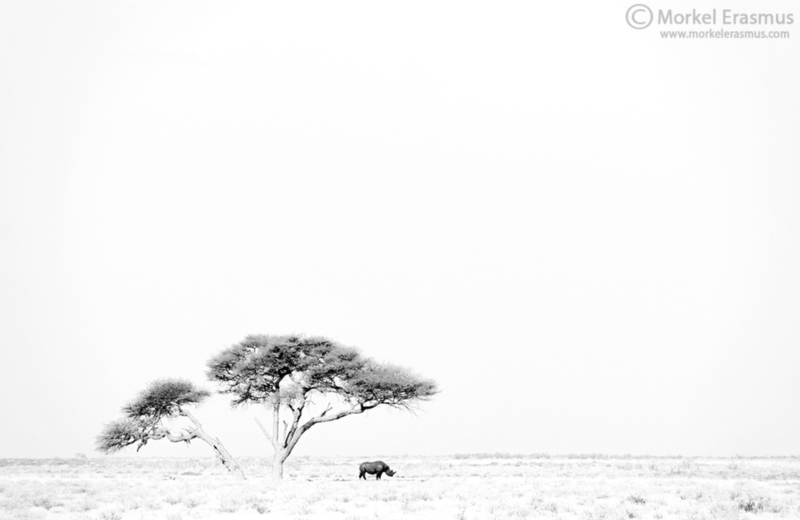 This really gets the idea across-the isolation and vastness ...and the sensible rhino! (Though it doesn't look like it's terribly well shaded) . I know that appreciation of photography is so subjective, but this is a touch too hi-key in this instance for me, Morkel, to the point of losing some detail and tonal range that I feel would take this evocative scene to the next level. I love your composition, and the thrill of seeing one of these iconic rarities in the wild is amazing with them so under threat. You must have come upon this scene with a few missed heartbeats - I would have! Depicting the scene of isolation to perfection Morkel.